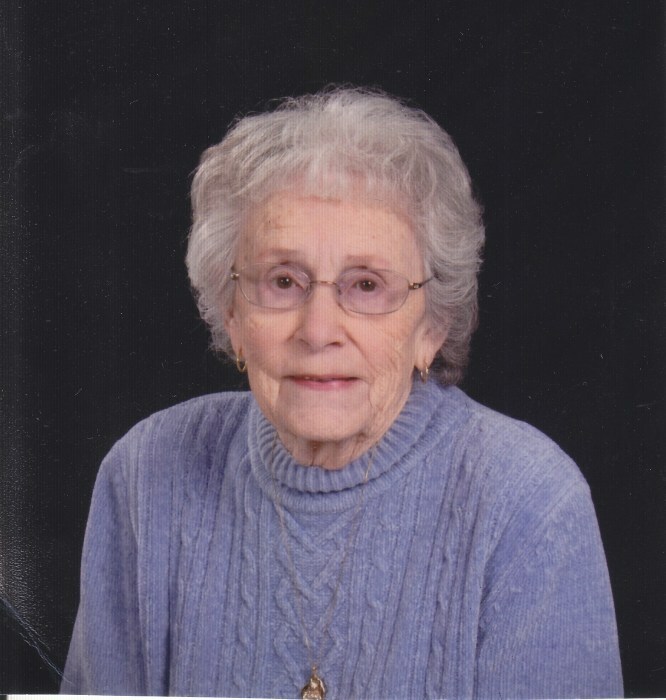 Elizabeth “Betty” Cox, age 94, of Viroqua passed away surrounded by family at Gunderson Health System in La Crosse on Tuesday October 9th, 2018. She was born in Sacramento, California on April 14th, 1924 to Ernest and Coral (Swain) Jones. She moved to Viroqua in 1934. She graduated from Viroqua High School in 1941. She attended vocational school in La Crosse and started working at the State Bank, on her 18th Birthday. She worked there until her marriage to Buford Cox. They farmed in Manning near Readstown, until Buford had a severe heart attack and was no longer able to farm. They moved to Viroqua in November 1967 and she returned to work at the State Bank, until her retirement. She was a member of the Readstown and Viroqua Church of Christ, Ladies Aux of Fraternal Order of Eagles, Republican Party and a social member of the Country Club. She enjoyed playing cards with her friends. She is survived by her 4 Children and their spouses Cheryl (Br ian) Larson, Michael (Dawn) Cox, James (Rose) Cox, Susan (Larry) Cox-Weaver; 12 Grandchildren; 3 Step Grandchildren, and is also survived by a number of great grandchildren and great-great grandchildren. She is also survived by a sister-in-law Mary Lou McGarry. Funeral services will be held Sunday October 14 at 2:30 p.m. at the Viroqua Church of Christ with Pastor Ray Matteson officiating. Burial will take place in the Manning Cemetery. Family and friends may call from 1:30 p.m. until the time of the service at the church. In lieu of flowers, family suggests memorials to the Manning Cemetery, rural Readstown, or the Viroqua Church of Christ. Condolences may be left for the family at www.thorsonfuneralhome.com. The family would like to thank everyone for all the many calls and messages. The Thorson Funeral Home and Cremation Service of Viroqua is proudly assisting the family.